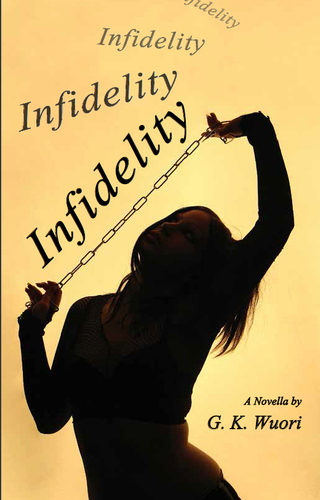 You can order Infidelity by clicking on the cover image! Only $12.00 (U.S.), paperback. Murder is tough on lawyers. Especially defending it, and especially if you’re Jim O’Hara, a mid-life, mid-career, and successful trial lawyer. Jim is saddled with a defendant no other lawyer in his small town would take on. But the crime was awful and Jim is seeking desperately for something in his life that makes sense. Homelessness is tough on single moms, especially Sophie Skribneski, a young widow with a teenage daughter to raise. Sophie needs work, but after she and her daughter spend their first night in an old, abandoned mortuary after being kicked out of their foreclosed home, she realizes she has very few choices. Eventually Jim becomes Sophie’s landlord. It is all business, he would say, with, well, sure a fair amount of affection. Affection, though, that’s a tricky notion, a sieve, he might say, that can’t begin to explain the bizarre kindness Jim ultimately pays to Sophie. Here's how it all begins! Jim O’Hara, a trial attorney of local renown, sits in quiet mystery with Johnny Mondragon with only one more question to go, a difficult question because it represents stupidity piled on top of idiocy, but a question Jim has to ask. Johnny Mondragon shot his wife, Andrea, and killed her. He used two 9mm pistols and shot her seven times until she was dead. Then he shot her some more. Jim O’Hara, earlier, had sweated over Johnny’s request for counsel, his initial thoughts about Johnny’s act beginning with savage and ending with ghastly. He stewed, he mulled, he meditated for three days. He thought about giving the case to his friend, Stanley Cannon, then remembered more than one conversation where Stanley said he could not do murder cases anymore, that he hadn’t the nerves for it, that in his maturing years he’d begun to believe once again in innocence and felt adrift and incompetent in its absence. Even after Jim agreed to take the case he continued to let it churn him up inside. There was a small problem with his wife, Bridget, too, whose maiden name was Mondragon. The family, though, had been very large with a good many laborers, mechanics, a few teachers, several nuns, and at least one priest. Mostly, they’d occupied a large part of the agricultural acreage in the county with some of the family making money and some not. Kids, however, they’d made a lot of those, fertility high on the list of virtues a big Catholic family cherishes. Jim worried, too, that Johnny Mondragon might be some kind of nut and difficult to control, to present as innocent. The boy’s deed suggested that he didn’t like the world saying no to him. Jim O’Hara would find certain excuses then, certain mitigating factors in Johnny’s behavior because that was his job. He would not find innocence although that did not bother him. Innocence, to a trial lawyer, is about what hugging is to someone making love – nice enough but not really relevant.